Social Studies being one of the most important subjects for class 10th, students should prepare it well. 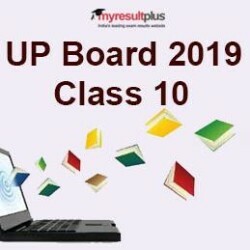 The practice paper is given here which is very useful for students of the UP Board of Examination, Class 10th. The sample paper is especially being prepared for the students by the in-house experts. Practising these questions will hopefully give a positive result. Q1. Against whom was the Reformation Movement in Europe initiated. Ans. The Reformation Movement was initiated against the corruption of the Church. Q2. Why did the USA enter into Second World War in favour of Allied Powers? Ans. Japan attacked the naval base of USA in Pearl Harbor, then the USA entered into Second World War in favour of Allied Powers. Q3. Give two causes for the failure of Quit India Movement. Ans. (i) Lack of means: Revolutionaries did not have sufficient means. The government had enough armed forces and police. No time to escape against suppression: the British government took prompt action against agitators. So they could not find the time to escape. All were captured and arrested. Q4. Discuss the two main functions of the State Council of Ministers. Ans. (i) The whole function of state administration is done by the Council of Ministers. Council of Ministers gives advice to Governor in his workings. Q5. Write two characteristics of India's foreign policy. Q6. What are different wings of Indian armed forces? Who is the supreme commander of Indian armed forces? Ans. Army, Air Force, and Indian Navy are three wings of Indan armed forces. The President of India is the supreme commander of the Indian Armed Forces. The supreme commander of the Indian Armed Forces is the President of India. Q7. Distinguish between Khadar and bhangar. Ans. Khadar is never alluvium found close to rivers, while the bhangar is older alluvium found away from rivers. Q8. What is meant by population density? Ans. Population density means the number of persons living in the area of per square kilometres. Q9. Write three objectives of economic planning? To develop optimum voluntary cooperation. Q10. What is a direct tax? Ans. The tax which is to be paid by the very same person on whom they have been imposed by the government is known as a direct tax.